The extension of Kazakhstan’s visa-free travel means more money and better foreign policy. Kazakhstan has extended its visa-free travel program to include 19 countries. The July 15 decision will help the country recover from an economic slowdown, promote Kazakhstan as a reliable business and investment partner, and prove useful as a foreign policy tool. Originally introduced in 2014, the visa-free travel program was initially designed to run only one year and for ten countries. With its renewal, major modifications include an exemption for Organization for Economic Co-operation and Development (OECD) countries with a 15-day visa-free stay, along with Malaysia, Singapore, and United Arab Emirates. The renewed and expanded visa policy will be in effect from July 16, 2015, until December 31, 2017. Moreover, Kazakhstan plans to allow 30-day visa-free visits for all 34 OECD countries, beginning January 1, 2017. The extension will apply to Malaysia, Singapore, and the United Arab Emirates, according to the Astana Times. Kazakhstan’s President Nursultan Nazarbayev hopes to brand Kazakhstan as a cosmopolitan, Western-friendly, emerging economic partner for the West and Asia. The new visa policy, which permits unsupervised travel for 15 days, will encourage attendance at major Kazakhstan events: Astana EXPO-2017 and Winter Universiade 2017. 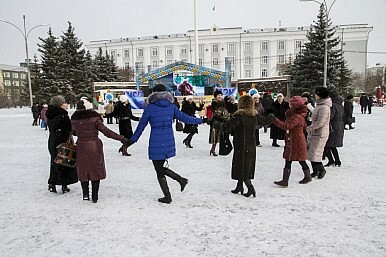 Visa free travel will also benefit Kazakhstan should it win the bid for the 2022 Winter Olympics, an outcome that would most likely prompt a renewal of the program when it expires in 2017. The program will also help generate revenue. Kazakhstan has been hard hit by the decline of the ruble as and tumbling oil prices. A boost in tourism could help offset this. Tourism figures for 2014 were projected to triple, based on available statistics. According to a tourism forecast “the direct contribution of Travel & Tourism to GDP was KZT533.2bn (1.6% of total GDP) in 2013, and is forecast to rise by 4.7% in 2014, and to rise by 5.0%, from 2014-2024, to KZT911.2bn (1.5% of total GDP) in 2024.” Direct contributions included commodities and industries, whereas total spending is broader, including “purchases of food and cleaning services by hotels.” According to the forecast, Kazakhstan ranked number 68 in long-term growth. The number of arrivals for travelers in Kazakhstan has also increased: 4.087 million (2005-2009) to 4.926 million arrivals in 2010-2014. Kazakhstan’s multilateral obligations also have implications for tourism. The Eurasian Economic Union (EAEU) Charter, Article 27, Establishing and Functioning of Free (Special) Economic Areas and Free Warehouses, states that facilities to promote social and economic development include “develop transportation infrastructure, tourism and health resorts.” Currently, however, there is no visa-free arrangement between the five member states of the EAEU. The new visa policy could also be a foreign policy tool. But countries that are exempt (and those that wish to be exempt), must be provided some benefit beyond not having to pay for a visa to Kazakhstan. Incentives should be tailored each country’s needs. The visa-free travel program should be expanded to cover interested investment and trade partners. Earlier this month, for instance, India expressed interest in creating a Free Trade Agreement “likely to focus on trade supplies to Russia as a result of EU sanctions affecting Russian consumer markets.” India is now a full member of the Shanghai Cooperation Organization. Meanwhile, Thailand, which is not on the 19 country visa-free list, has confirmed that it is interested in creating a free trade zone with EAEU members by the end of 2015. The visa-free program is an effective public policy tool, and increases the flow of businesspeople to the country while expanding access to new markets. Kazakhstan would benefit from an investor visa program that afforded foreign business visitors a longer stay as the country continues to host high-profile economic and political events. The program is unlikely to be used for illegal entry. As it is, Kazakhstan hosts only “approximately 600 refugees and asylum-seekers, and around 7,000 officially-registered stateless people” according to UNHCR 2015 figures. Rather, a visa-free program coupled with other investment and political initiatives would make Kazakhstan a more attractive destination for business and recreation. Samantha Brletich is a Junior Member of the Advisory Board for the global think tank Modern Diplomacy. She is a graduate of George Mason’s University Peace Operations Policy graduate program. She is an employee of the US Department of Defense. Opinions are her own.